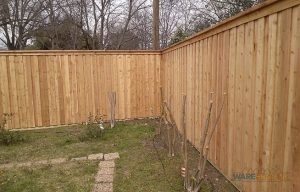 Do you require a dependable fence company in Joshua, TX? We here at Ware Fencing are professionals in everything fencing, such as fence repair, fence installation, or fence replacement. Our services are designed to help add to the curb appeal and the property value of your house or property, while simultaneously providing you with a functioning addition. Regardless of what your goal is for your next fence installation, you can rely on our team to make your idea a reality. You can reach the crew at 817-948-4503 to discover more, and talk with any of our professionals about your fencing options. Our local company provides expert fence repair that Joshua can depend on. While most residential fence installers have limited resources, our team can even provide farm or ranch fence service to our clients. You can pick from any of our residential fence options, such as cedar, wrought iron, chain link, and more! Cedar fences provide a great level of privacy, but you can rely on aluminum fences to preserve your view, if that’s what you prefer. 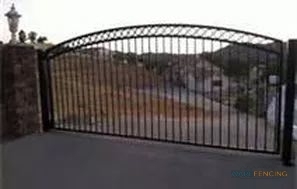 As far as security is concerned, you can rely on us for wrought iron fencing, or even specialized security fencing. Even if you require a custom fence design that you do not see mentioned here, you can rely on us for the ideal fence. When you need a dependable fence company in Joshua, TX, you can depend on us. Customer satisfaction is our primary objective, and we only utilize high quality materials to finish our projects. Our team works very hard to make sure you get the exact fence you’re searching for. Contact the crew at 817-948-4503 today to talk with any of our experts, and set up your appointment. Regardless of what your fencing needs are, our team won’t let you down!